Benefits, Indications: Colitis, hiccups, intestinal spasms, parasites, rheumatic pain, sciatica. May be beneficial for abdominal discomfort and spasms, arthritis, digestive complaints, genital and urinary tract infection, nausea, premenstrual discomfort, wounds. It may also balance the autonomic nervous system. Tarragon oil stimulates the appetite and has a pronounced effect on the sluggish digestive system. It can be helpful for anorexia, dyspepsia, flatulence, hiccups, internal spasm and nervous dyspepsia, as well as helpful for menstrual pains and to regulate periods. 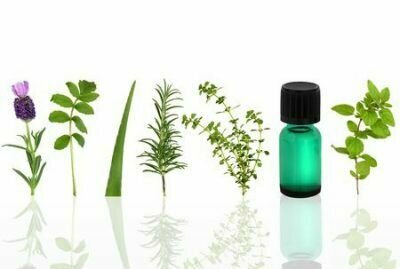 Precautions: Tarragon oil is non-irritant and non-sensitizing but can be moderately toxic due to the methyl chavicol in the oil, and should therefore be used in moderation and should be avoided during pregnancy. Do not use if epileptic. Effect of chitosan-based coatings enriched with savory and/or tarragon essential oils on postharvest maintenance of kumquat (Fortunella sp.) fruit.